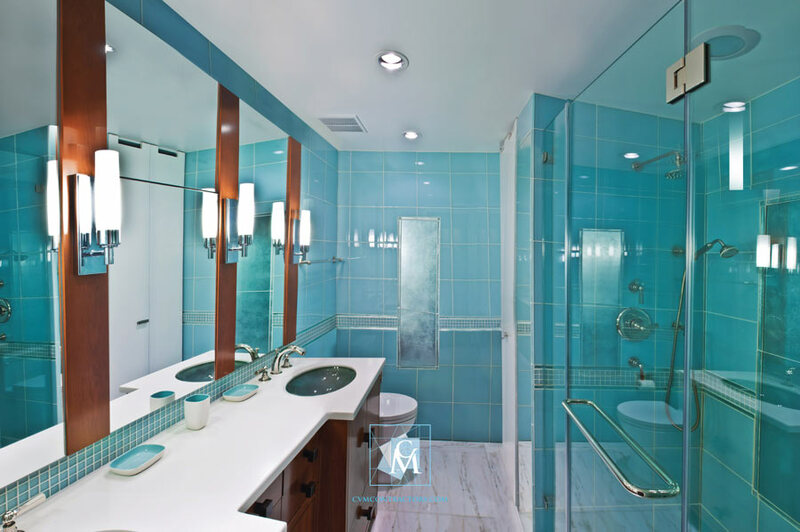 In general, the owners of a bathroom want a space, open, bright, spacious. The brighter your space is, the bigger it will look. If you are looking to remodel your bathroom, you do not have to look for more, because you are in the ideal place. We transform, spaces and bathrooms are not the exception. We use the best techniques to renovate your bathroom, and make it perfect for you, with finishes and surfaces for all kinds of tastes. One of the best finishes or styles that we usually recommend, is the lighting, which in addition to giving prestige, grants greater energy efficiency, with 75% less energy and with a performance 25 times greater than incandescent light. We are Cvm Contractors, we have exactly what you are looking for, we have the best proposals to turn your bathroom into a true work of art. We focus on carrying out our projects in 3 phases as they guarantee a better planning and thus obtain the best way of renewing your space, providing the full satisfaction that you and your family deserve. 1. Measurement: our team will first arrive at your home and measure the dimensions of your bathroom to perfection. 2. Design: we will create the design of your bathroom, locating your new cabinets, splash guards and water technology, and describe the dimensions (how high, wide and deep). We will also design and revise your bathroom until you are completely satisfied, eliminating all the limits of your project, exposing our imagination to the fullest. 3. Finish selection: we will also help you coordinate all your finishes so that your bathroom, tile, bathtub and water technology vanities match perfectly. 4. Budget planning: our financial experts will help you create a budget and design within it to give you the bathroom you can afford. Remember that, as a full service company, we are also a supplier and a contractor attentive to project costs, which allows us the freedom to spend wisely on what you really want. Ubicación: 5 Columbus Cir #800, New York, NY 10019, EE. UU.